Happy Birthday to Mr. James Taylor! James celebrated his birthday yesterday and he is still going strong. He’s been on the road touring for the past few years with his latest album, Before This World. He’s wrapping that tour up in South America, but will back on the road this Summer with Bonnie Raitt in the US. Let’s jump back in our time machine to Cameron’s 1976 story from the L.A. Times. 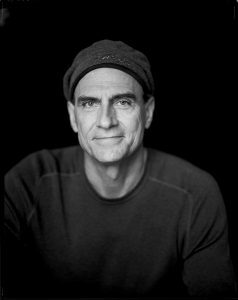 The young man edged closer and stared for a moment to make sure the lanky figure in the corner of the restaurant was indeed James Taylor. The man then tore a soiled bandage from his own forehead and began shrieking that Taylor had just miraculously healed him.Within seconds, the other customers in the restaurant were gawking at the shy singer-songwriter. Taylor sighed quietly and buried his head in his hands. All he had wanted was a burger. 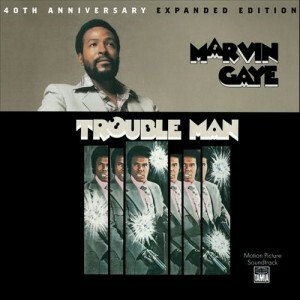 Four years ago, Cameron wrote the liner notes for the 40th Anniversary Expanded Edition of Marvin Gaye’s Trouble Man soundtrack. Enjoy! A quick snapshot of Marvin Gaye, May 1971: Sylmar, California. It’s a rarely documented time in the artist’s life. He’d just finished What’s Going On, and hopped a flight from Detroit to Los Angeles to begin a co-starring role in an earnest film about a young Green Beret. He’s 32, newly shorn of the iconic beard that would characterize his creative gestation. In the summer of ’71, Marvin Gaye is an actor. The film was not going swimmingly, the director uncommunicative with him, and Marvin was adrift in a world he’d known only as a fan, unaccustomed to set-politics, but ready to learn. It’s no surprise where Gaye found a home—on the camera truck, helping with the film operators, being close to the artistic creation of the film’s feel and look. Most of the camera crew was unaware of Gaye’s recorded work. 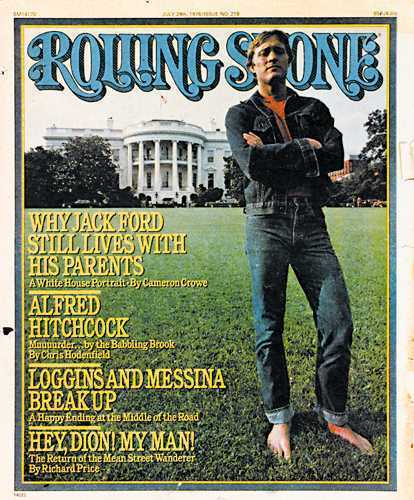 Since election season is in full swing, we thought you might enjoy Cameron’s 1976 Rolling Stone cover story with Jack Ford. 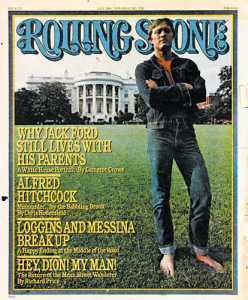 Gerald Ford’s son was a hot commodity back at the time. Young, handsome and campaigning for his dad, Gerald Ford. We hope you like it! Five days before the Michigan primary, on a sunny Saturday afternoon in May, the sprawling Fairlane shopping center, an indoor mall in Dearborn, is so thick with campaign workers of both parties that it’s hard to take a step without being accosted by zealous volunteers brandishing buttons and bumperstickers. Today, the shopping center is being visited by a major campaign figure — once removed. A young Republican worker rushes up to a knot of people, breaking the news with breathless reverence: “Did you hear? The president’s son Jack is here! Just around the corner!” There’s a commotion around the corner, all right, and a strange, nervous chuckle is rising above the hubbub; sort of an emphatic ah-ha, followed by three slightly forced heh-heh-hehs. Then around the corner comes the owner of The Laugh, surrounded by swooning teenage girls. Jack Ford’s three-piece suit — its color an exact match for his tousled sandy blond hair—hangs perfectly on his sleek, athletic, 24-year-old body. He loosens his tie and proceeds to sign the crinkled slips of paper thrust in front of him. He poses for dozens of Instamatic flash pictures and pumps every hand in sight. “I’m Jack Ford and I’m here working to reelect my father. Can we count on your support?” That’s the stock line he recites to almost everybody. Everybody, that is, except the prettiest girls, who get a slightly bolder variation. The steely blue-green eyes linger a little longer on theirs and, at the beginning of the handshake, Jack will simply say, “Your hand feels a little cold.” On occasion he’ll turn to one of his Secret Service agents and remark wistfully, “I wish there was something we could do about that.” The effect is devastating, and instantaneous. One melted girl. 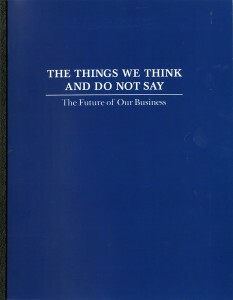 As we inch closer to Jerry Maguire‘s 20th Anniversary, I thought you might want to read Cameron’s original Mission Statement (that is only briefly featured in the film). Here’s the entire 25 pages penned by Cameron. Happy Monday! It’s 1 AM and this might be the bad pizza I had earlier talking, but I believe I have something to say. Or rather, I have something to say that I believe in. My father once said, “Get the bad news over with first. You be the one to say the tough stuff. Well, here goes. There is a cruel wind blowing through our business. We all feel it, and if we don’t, perhaps we’ve forgotten how to feel. But here is the truth. We are less ourselves than we were when we started this organization. 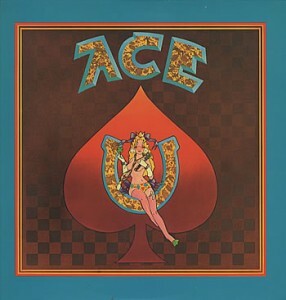 Cameron does four mini album reviews from the June 22, 1972 issue of the San Diego Door. These are brand new to the Journalism section! Sorry for the delay in posts, Roadies is in full swing. I’ll try and post things more regularly. Thanks for your patience and stay tuned! 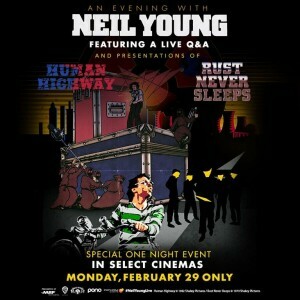 Neil Young will be hosting a one night only double feature screening of Human Highway and Rust Never Sleeps on Monday, February 29th. An Evening with Neil Young will include a Live Q & A moderated by Cameron that will be streamed in theaters across the country. Tickets are available over at Fathom Events’ Official Site. We are pleased to share a new addition to the Journalism section today. 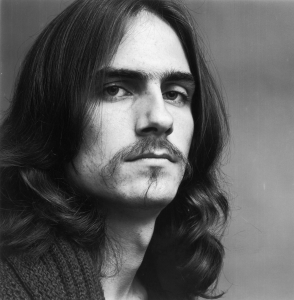 Cameron did this interview with James Taylor for the L.A. Times circa August, 1976. We hope you like it!